1. The initial sell-off into the pattern can be steep or gradual. 2. The first bounce gives us the pattern’s base level and peak. 3. 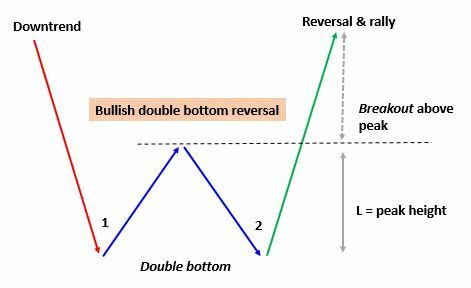 A bullish pattern is only confirmed when a second bounce goes higher than the first. 4. The pattern objective from the breakout equates to the distance from the base to the peak of the first bounce. 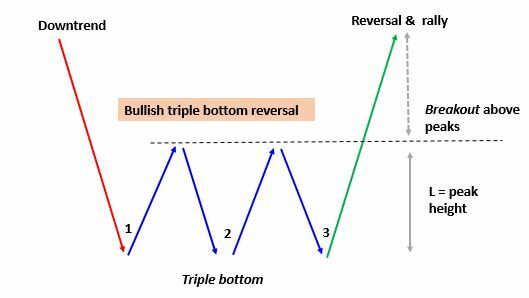 The setup for the triple bottom version is exactly the same, just with three bounces instead of two. 1. The initial rally into the pattern can be steep or gradual. 2.The first sell-off gives us the pattern’s ceiling and trough. 3. A bearish pattern is only confirmed when a second sell-off goes lower than the first. 4. The pattern objective from the breakdown equates to the distance from the ceiling to the trough of the first sell-off. 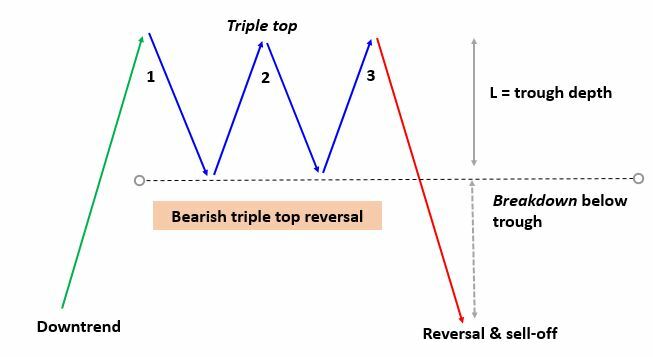 The setup for the triple top version is exactly the same, just with three sell-offs instead of two. 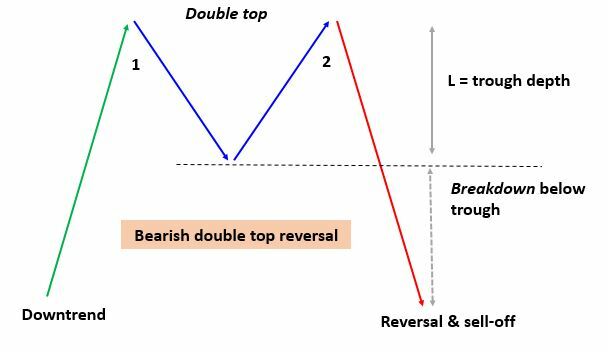 Whilst trade objectives are calculated by assuming and projecting the height of the bounces and sell-offs, note that bullish double/triple bottoms and bearish double/triple tops don’t always deliver a move equating to the full pattern height. Sometimes they undershoot. Sometimes they overshoot. And the pattern itself is not always perfectly neat. What is most important is that overall pattern respects the general steps mentioned above.